1.1 What was Mickey’s original name? 1.3 Are Mickey & Minnie married? 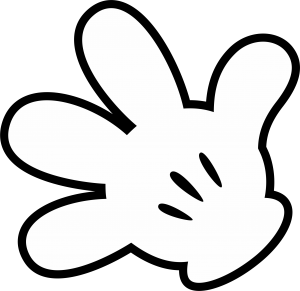 1.4 How many fingers does Mickey Mouse have? 1.5 What was the first thing that Mickey Mouse ever said? 1.6 Who is the voice of Mickey Mouse? 1.7 Is Pluto Mickey Mouse’s dog? 1.8 Who came up with the name of Mickey Mouse? 1.9 When did Mickey get his star on the Walk of Fame? Longtime readers will know how much we love Walt Disney World. Well did you know November 2018 saw Mickey’s turn 90 so I felt it’s only fitting that today I share with you 7 fun Mickey Mouse facts you probably didn’t know about the main man himself! What was Mickey’s original name? “Mortimer Mouse” had been Disney’s original name for the character now known as Mickey before Walt Disney’s wife, Lillian, convinced him to change it. Are Mickey & Minnie married? Mickey and Minnie are actually married (in real life!). The voice of Mickey from 1977 married the voice of Minnie in 1991! How many fingers does Mickey Mouse have? What was the first thing that Mickey Mouse ever said? The first thing Mickey Mouse ever said was “Hot Dogs!” in 1929.
Who is the voice of Mickey Mouse? Mickey Mouse was voiced by Walt Disney himself until 1947. Is Pluto Mickey Mouse’s dog? Who came up with the name of Mickey Mouse? Walts wife Lillian came up with the name of Mickey Mouse. 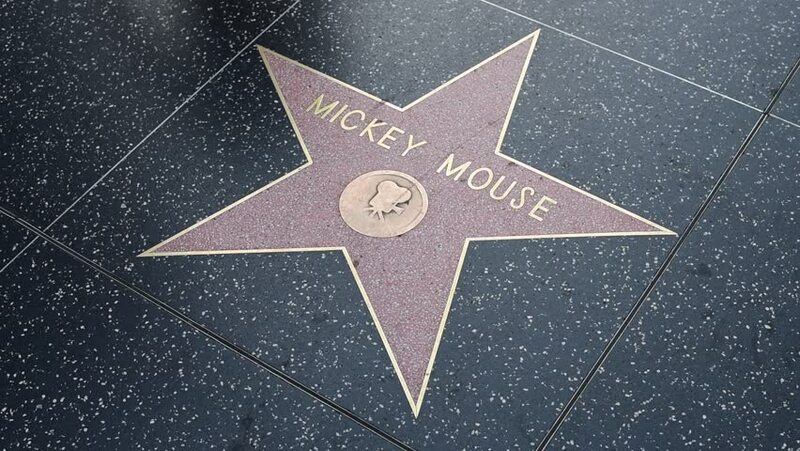 When did Mickey get his star on the Walk of Fame? Mickey Mouse got his star on the Hollywood Walk of Fame on his 50th birthday AND was the first cartoon character to have a star! 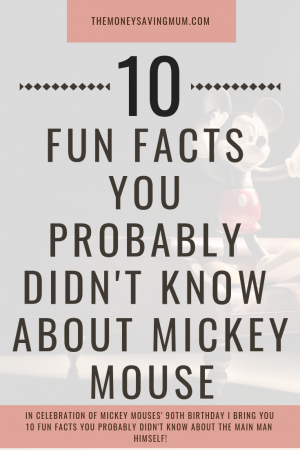 So there you have it… in celebration of Mickeys 90th birthday I share with you 10 fun facts you probably didn’t know about Mickey Mouse.